A generic system image (GSI) is a "pure Android" implementation with unmodified Android Open Source Project (AOSP) code. Starting with Android 9 (API level 28), a Generic System Image (GSI) is available that you can run on actual devices rather than just on an emulator, making app testing easier and more consistent for developers. The GSI images are open-sourced. Figure 1. GSI support across devices. How is GSI useful for developers? GSI is a benchmark for compliance. It provides a consistent testing environment for developers on any compliant device. If your app works on GSI, you can be certain it also works on almost all Android devices. To develop apps using new Android features. To validate existing apps for forward compatibility. Workflows that use new hardware features. They were launched with Android 9 (API level 28) or higher. Devices upgraded to Android 9 from an earlier version may or may not support GSI. Warning: Attempting to flash GSI to a non-compliant device could result in your device becoming non-bootable. Always confirm that your device is compliant before flashing, and follow the installation steps provided by your device's manufacturer. GSI doesn't support rollback. You will need a recovery method and original system ROM to revert to the original system. If the response is false, the device isn't compatible with GSI and you shouldn't continue. If the response is true, continue to the next step. | grep -A 20 "\[vendor\]"
Note: Depending on your platform, the configuration file in the preceding command may or may not have a version identifier in it. In the output, look in the section [vendor] for namespace.default.isolated. If the value for that attribute is true, then the device fully supports Vendor Native Development Kit (VNDK) and can use any GSI operating system (OS) version. Choose the latest GSI OS version available. If the value for the attribute is false, then the device isn't fully VNDK-compliant, and the device can use only the GSI for the same on-device OS version. For example, an Android 9 (API version 28) device that isn't VNDK-compliant can load only an Android 9 GSI image. Use the output to determine which GSI image to use when flashing your device. For example, on a Pixel 3, the output would indicate that the CPU architecture is arm64-v8a, so you would use the arm64 type of GSI. 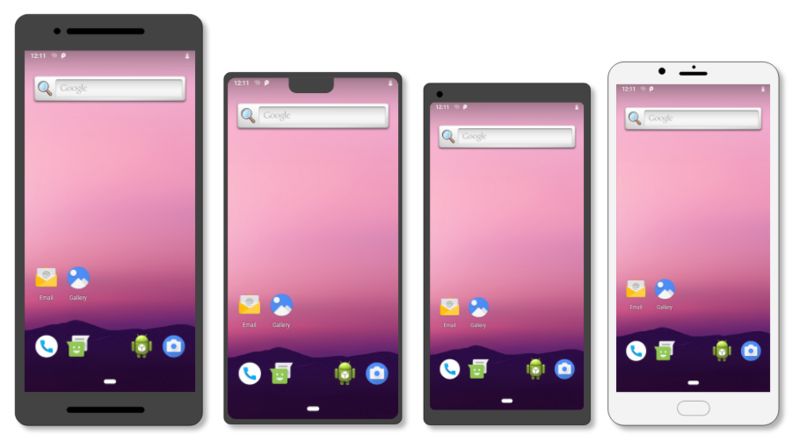 For devices that were upgraded to Android 9 from an earlier version, there are two different types of legacy GSI images available: _a and _ab. The system user's privilege level on the device determines which type to use. If the output of the command is system-as-root, you must use the _ab type of GSI image. If the output is non-system-as-root, you must use the _a type. If neither value is in the output of the command, the device isn't compatible with GSI and you shouldn't continue. After that, flash the image onto your device. For more information on flashing GSI images, see Flashing GSIs. GSI images help to validate apps on Android. We appreciate your feedback on the images, the tools, and the process of enabling GSI on your devices. To notify us of bugs or feature requests, use the dedicated issue tracker component.